A bhajan (Hindi: भजन) literally means "sharing". It also refers to any song with religious theme or spiritual ideas, in a regional Indian language. A Bhajan has no prescribed form, or set rules, is in free form, normally lyrical and based on melodic ragas. It belongs to a genre of music and arts that developed with the Bhakti movement. It is found in the various traditions of Hinduism but particularly in Vaishnavism, in Jainism, and as Shabad Kirtan form in Sikhism. Ideas from scriptures, legendary epics, the teachings of saints and loving devotion to a deity are the typical subjects of bhajans. It is usually a group event, with one or more lead singers, accompanied with music, and sometimes dancing. A bhajan may be sung in a temple, in a home, under a tree in open, near a river bank or a place of historic significance. The saints of the Bhakti movement are credited with pioneering many forms of bhajans, starting with the South Indian bhakti pioneers, but bhajans have been widely composed anonymously and shared as a musical and arts tradition. Its genre such as Nirguni, Gorakhanathi, Vallabhapanthi, Ashtachhap, Madhura-bhakti and the traditional South Indian form Sampradya Bhajan each have their own repertoire and methods of singing. The Sanskrit word bhajan or bhajana is derived from the root bhaj, which means "divide, share, partake, participate, to belong to". The word also connotes "attachment, devotion to, fondness for, homage, faith or love, worship, piety to something as a spiritual, religious principle or means of salvation". 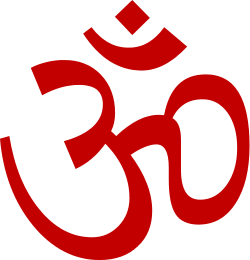 In Hinduism, Bhajan and its Bhakti analog Kirtan, have roots in the ancient metric and musical traditions of the Vedic era, particularly the Samaveda. The Samaveda samhita is not meant to be read as a text, it is like a musical score sheet that must be heard. Other late Vedic texts mention the two scholars Shilalin (IAST: Śilālin) and Krishashva (Kṛśaśva), credited to be pioneers in the studies of ancient drama, singing and dance. The art schools of Shilalin and Krishashva may have been associated with the performance of vedic rituals, which involved story telling with embedded ethical values. The vedic traditions integrated rituals with performance arts, such as a dramatic play, where not only praises to gods were recited or sung, but the dialogues were part of a dramatic representation and discussion of spiritual themes. a house made of dirt. a symbol of your good work. The Vedas and Upanishads celebrate Nada-Brahman, where certain sounds are considered elemental, triggering emotional feelings without necessarily having a literal meaning, and this is deemed sacred, liminal experience of the primeval ultimate reality and supreme truth. This supreme truth is, states Guy Beck, considered as full of bliss and rasa (emotional taste) in the Hindu thought, and melodic sound considered a part of human spiritual experience. Devotional music genre such as Bhajan are part of a tradition that emerged from these roots. A Bhajan in Hindu traditions is an informal, loosely structured devotional song with music in a regional language. They are found all over India and Nepal, but are particularly popular among the Vaishnavism sub-traditions such as those driven by devotion to avatars of Vishnu such as Krishna, Rama, Vitthala and Narayana (often with their consorts). A Bhajan may be sung individually, or more commonly together as a choral event wherein the lyrics include religious or spiritual themes in the local language. The themes are loving devotion to a deity, legends from the Epics or the Puranas, compositions of Bhakti movement saints, or spiritual themes from Hindu scriptures. The Bhajans in many Hindu traditions are a form of congregational singing and bonding, that gives the individual an opportunity to share in the music-driven spiritual and liturgical experience as well as the community a shared sense of identity, wherein people share food, meet and reconnect. The bhajans have played a significant role in community organization in 19th and 20th century colonial era, when Indian workers were brought to distant lands such as Trinidad, Fiji and South Africa as cheap labor on plantations. Some Bhajan songs are centuries old, popular on a pan-regional basis, passed down as a community tradition, while others newly composed. Everyone in Hindu tradition is free to compose a Bhajan with whatever ideas or in praise of any deity of their wish, but since they are sung, they typically follow meters of classical Indian music, the raga and the tala to go with the musical instruments. They are sung in open air, inside temples such as those of Swaminarayan movement, in Vaishnava monasteries, during festivals or special events, and at pilgrimage centers. A Bhajan is closely related to Kirtan, with both sharing common aims, subjects, musical themes and being devotional performance arts. A Bhajan is more free in form, and can be singular melody that is performed by a single singer with or without one and more musical instruments. 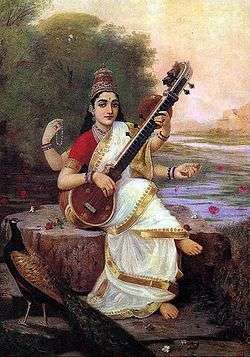 Kirtan, in contrast, differs in being a more structured team performance, typically with a call and response musical structure, similar to an intimate conversation or gentle sharing of ideas, and it includes two or more musical instruments, with roots in the prosody principles of the Vedic era. Many Kirtan are structured for more audience participation, where the singer calls a spiritual chant, a hymn, a mantra or a theme, the audience then responds back by repeating the chant or by chanting back a reply of their shared beliefs. A Bhajan, in contrast, is either experienced in silence or a "sing along". Stavan is a form of popular and historically pervasive genre of devotional music in Jainism. The subject of a Stavan varies, ranging from praise of Jina, Jain religious ideas and its philosophy, in a manner similar to Bhakti Bhajans. Jainism rejects any Creator god, but accepts protector deities and rebirth of souls as heavenly beings, and its devotional singing traditions integrate these beliefs. Stavan may include dancing and worship rituals. Known as Bhajan in north and west Indian regional languages, a Stavan is typically sung as folk melodies by groups of Jain women, and are formal part of ceremonies and celebrations within Jainism. The Sikh tradition places major emphasis on devotional worship to one formless God, and Bhajans are a part of this worship. A more common form of community singing is called Shabad Kirtan in Sikhism. A Shabad Kirtan is performed by professional religious musicians, wherein bani (word, hymns) from the Sikh scripture are sung to a certain raga and tala. A modern Bhajan has no fixed form: it may be as simple as a mantra or kirtan or as sophisticated as the dhrupad, thumri or kriti with music based on classical ragas and talas. V. D. Paluskar and V. N. Bhatkhande have combined Indian classical music with bhajan. Pandit Kumar Gandharva made famous the Nirguni Bhajans of Sant Kabir and Malwa Region. The dancer Mallika Sarabhai has produced performances based on bhajans. Abhinaya Chakravathi Sri JS Eswara Prasad Rao of Hyderabad, who is the disciple of AL Krishnamurthy Bhagavathar, Pudukkottai system, has produced performances based on Sampradaya bhajans under the title "Nitrya sankeerthnam". Bhajans of Vaishnavism, Shaivism, Shaktism traditions, Vedic mantras and Yoga chants have been composed, published in Western musical sheet format or recorded by western singers such as Krishna Das, Deva Premal, Miten, and by various West Indies singers influenced by East Indian heritage. The Stavan compositions and literature of the Jainism tradition are extensive, with a historic overview provided by Sri Sudhara Stavan Sangrah, traditionally preserved in "puja box" by Jain families. It is vectored text with Jain lyrics and is canonically inspired. Kripalu Maharaj is one of the modern era bhakti leaders and bhajan-kirtan composers. He has composed eleven thousand one hundred and eleven doha (couplets) on the leela of Radha Krishn and the devotional philosophy called Radha Govind Geet; 1008 pad (songs) called Prem Ras Madira; hundreds of kirtan in the form of Yugal Shatak and Yugal Ras and twelve pad which fully describe the beauty and the decorations of Krishn, and thirteen pad which describe the beauty and the decorations of Radha Rani called Shree Krishn Dwadashi and Shree Radha Trayodashi. Renditions of Shree Maharajji's bhajans and kirtans have been recorded by well-known singers in India such as Manna Dey Anuradha Paudwal and Anup Jalota. 1 2 3 4 5 6 James G. Lochtefeld (2002). 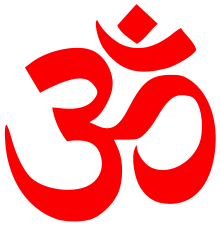 The Illustrated Encyclopedia of Hinduism: A-M. The Rosen Publishing Group. p. 97. ISBN 978-0-8239-3179-8. 1 2 3 4 5 Denise Cush; Catherine Robinson; Michael York (2012). Encyclopedia of Hinduism. Routledge. pp. 87–88. ISBN 978-1-135-18979-2. 1 2 3 M. Whitney Kelting (2001). Singing to the Jinas: Jain Laywomen, Mandal Singing, and the Negotiations of Jain Devotion. Oxford University Press. pp. 28–29, 84. ISBN 978-0-19-803211-3. 1 2 3 Arnold P. Kaminsky; Roger D. Long (2011). India Today: An Encyclopedia of Life in the Republic. ABC-CLIO. pp. 484–485. ISBN 978-0-313-37463-0. ↑ Anna King, John Brockington, The Intimate Other: Love Divine in Indic Religions, Orient Longman 2005, p 179. ↑ Amaresh Datta (1987). Encyclopaedia of Indian Literature: A-Devo. Sahitya Akademi. pp. 430–431. ISBN 978-81-260-1803-1. ↑ Cutler, Norman (1987). Songs of Experience. Indiana University Press. p. 1. ISBN 978-0-253-35334-4. ↑ Monier Monier-Williams (1872). A Sanskrit-English Dictionary. Oxford University Press. p. 695. 1 2 Natalia Lidova (1994). Drama and Ritual of Early Hinduism. Motilal Banarsidass. pp. 111–114. ISBN 978-81-208-1234-5. ↑ Tarla Mehta 1995, pp. xxiv, xxxi–xxxii, 17. ↑ Maurice Winternitz 2008, pp. 181–182. ↑ David N. Lorenzen (1995). Bhakti Religion in North India: Community Identity and Political Action. State University of New York Press. p. 242. ISBN 978-0-7914-2025-6. ↑ Annette Wilke; Oliver Moebus (2011). Sound and Communication: An Aesthetic Cultural History of Sanskrit Hinduism. Walter de Gruyter. pp. 886–898. ISBN 978-3-11-024003-0. ↑ Stephen Breck Reid (2001). Psalms and Practice: Worship, Virtue, and Authority. Liturgical Press. p. 10. ISBN 978-0-8146-5080-6. ↑ Annette Wilke; Oliver Moebus (2011). Sound and Communication: An Aesthetic Cultural History of Sanskrit Hinduism. Walter de Gruyter. pp. 2–3, 33–37. ISBN 978-3-11-024003-0. ↑ Movindri Reddy (2015). Social Movements and the Indian Diaspora. Routledge. p. 164. ISBN 978-1-317-47897-3. ↑ Helen Myers (1998). Music of Hindu Trinidad: Songs from the India Diaspora. University of Chicago Press. pp. 88, 128. ISBN 978-0-226-55453-2. ↑ O'Callaghan, Marion (1998). "Hinduism in the Indian Diaspora in Trinidad". Journal of Hindu-Christian Studies. 11 (1). doi:10.7825/2164-6279.1178. 1 2 Peter Lavezzoli (2006). The Dawn of Indian Music in the West. A&C Black. pp. 371–372. ISBN 978-0-8264-1815-9. ↑ Sara Black Brown (2014). "Krishna, Christians, and Colors: The Socially Binding Influence of Kirtan Singing at a Utah Hare Krishna Festival". Ethnomusicology. University of Illinois Press. 58 (3): 454–480. doi:10.5406/ethnomusicology.58.3.0454. ↑ Alanna Kaivalya (2014). Sacred Sound: Discovering the Myth and Meaning of Mantra and Kirtan. New World. pp. 117–122. ISBN 978-1-60868-244-7. ↑ Alanna Kaivalya (2014). Sacred Sound: Discovering the Myth and Meaning of Mantra and Kirtan. New World. pp. 3–17, 34–35. ISBN 978-1-60868-244-7. ↑ Malory Nye (2013). A Place for Our Gods: The Construction of an Edinburgh Hindu Temple Community. Routledge. p. 113. ISBN 978-1-136-78504-7. ↑ Peter J. Claus; Sarah Diamond; Margaret Ann Mills (2003). South Asian Folklore: An Encyclopedia. Routledge. p. 302. ISBN 978-0-415-93919-5. ↑ J. Gordon Melton; Martin Baumann (2010). Religions of the World: A Comprehensive Encyclopedia of Beliefs and Practices, 2nd Edition. ABC-CLIO. p. 1397. ISBN 978-1-59884-204-3. ↑ Kristen Haar; Sewa Singh Kalsi (2009). Sikhism. Infobase. pp. 60–61. ISBN 978-1-4381-0647-2. ↑ Isabel Laack (2011). Religion und Musik in Glastonbury: Eine Fallstudie zu gegenwärtigen Formen religiöser Identitätsdiskurse. Vandenhoeck & Ruprecht. pp. 298–306, 582. ISBN 978-3-647-54011-5. ↑ Helen Myers (1998). Music of Hindu Trinidad: Songs from the India Diaspora. University of Chicago Press. pp. 294–339, 111–150. ISBN 978-0-226-55453-2. ↑ Annette Wilke; Oliver Moebus (2011). Sound and Communication: An Aesthetic Cultural History of Sanskrit Hinduism. Walter de Gruyter. pp. 285, 477–484, 790–801. ISBN 978-3-11-024003-0. 1 2 Mary Whitney Kelting (2001). Singing to the Jinas: Jain Laywomen, Maṇḍaḷ Singing, and the Negotiations of Jain Devotion. Oxford University Press. pp. 69, 215 with footnotes 13–14. ISBN 978-0-19-514011-8. ↑ Hutton, F. 2008. Rose lore: essays in cultural history and semiotics. Lexington Books. ↑ Kinnear, M. 1985. A discography of Hindustani and Karnatic music. Greenwood Press. ↑ Rang De with Anup Jalota at Radha Madhav Dham, Austin. 20 Oct 2011. Indo-American News. Retrieved 15 December 2011. Wallace Dace (1963). "The Concept of "Rasa" in Sanskrit Dramatic Theory". Educational Theatre Journal. 15 (3): 249. doi:10.2307/3204783. JSTOR 3204783. Natalia Lidova (2014). "Natyashastra". Oxford University Press. doi:10.1093/obo/9780195399318-0071. Natalia Lidova (1994). Drama and Ritual of Early Hinduism. Motilal Banarsidass. ISBN 978-81-208-1234-5. Tarla Mehta (1995). Sanskrit Play Production in Ancient India. Motilal Banarsidass. ISBN 978-81-208-1057-0. Adya Rangacharya (1998). Introduction to Bharata's Nāṭyaśāstra. Munshiram Manoharlal Publishers. ISBN 978-81-215-0829-2. Sreenath Nair (2015). The Natyasastra and the Body in Performance: Essays on Indian Theories of Dance and Drama. McFarland. ISBN 978-1-4766-1221-8. Maurice Winternitz (2008). History of Indian Literature Vol 3 (Original in German published in 1922, translated into English by VS Sarma, 1981). New Delhi: Motilal Banarsidass. ISBN 978-8120800564.